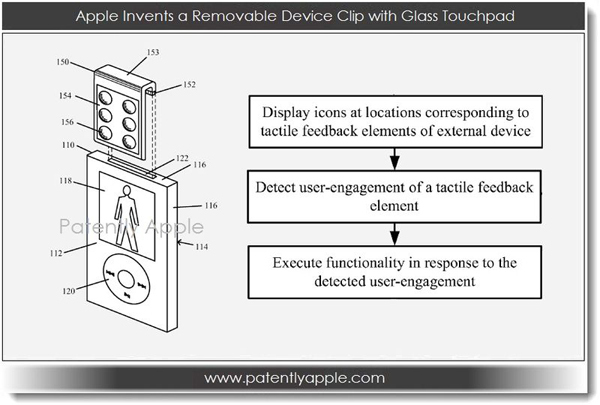 In one embodiment, the user interface may be configured to operate as a clip, thereby enabling the electronic computing device to be removably attached to an object such as a person's clothing. The user interface may also be operable to receive user inputs (via, e.g., a touch pad) and thereby control an electronic computing device. In some embodiments, the user interface may be transparent. As a result, information such as icons displayed on the electronic computing device may be visible to the user via the transparent user interface. The electronic computing device may then be responsive to user engagement with the clip based on locations of the user engagement and their correspondence to the icons displayed on the electronic computing device. In this fashion, a portable user interface may be provided that significantly enhances the functionality and usability of existing devices, and in some cases may also advantageously operate as a clip. 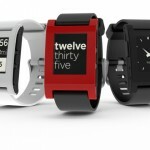 FCC Approves The Pebble Watch, So Where Is It?